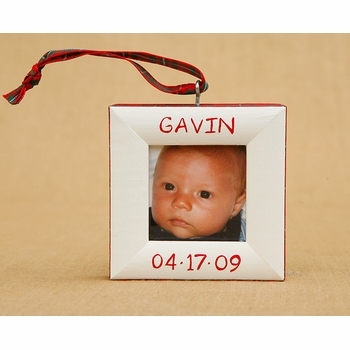 The Christmas Birthdate frame ornament is a great alternative to "first christmas". Place your favorite newborn's photo in it to celebrate this wonderful holiday. 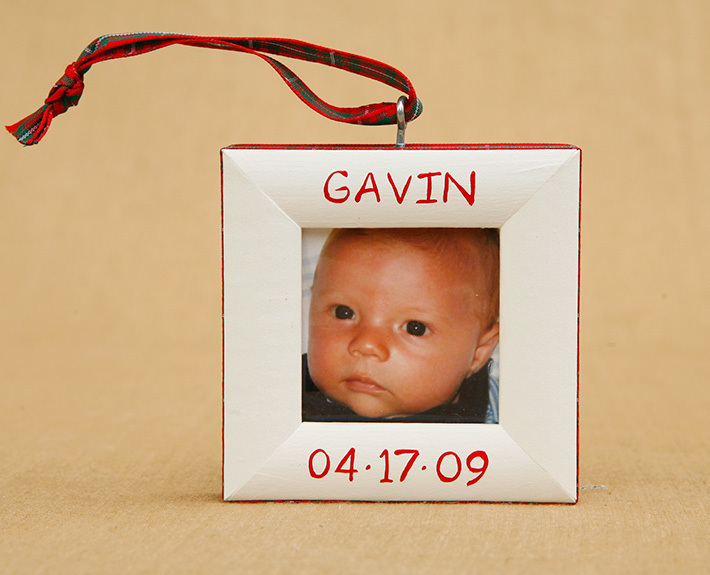 The frame includes a personalized name and birth date and is available in several color combinations. Makes a wonderful gift. comes in white/red, white/pink, white/blue or red/white.